CHINA - 2017/12/28 - Two days before the inaugural edition of the Wuxi 2017 World Taekwondo Grand Slam Champions Series kicks off on Saturday, the WT’s finest athletes and senior officials got their first look at the bespoke venue at a press conference held in the Wuxi Taihu International Expo Center in Wuxi, China. The Grand Slam Series – to be held over five consecutive Saturdays in this city in eastern China–will be fought under amended rules designed to upgrade the sport’s spectacle, and offers the biggest prize money in Taekwondo history: USD70,000 for first place winners, USD20,000 for second place and USD5,000 for third place. The venue has been optimally designed for television coverage, with a raised field of play, dry ice, multiple LED screens, audiences stacked close to the action and thunderous audio. 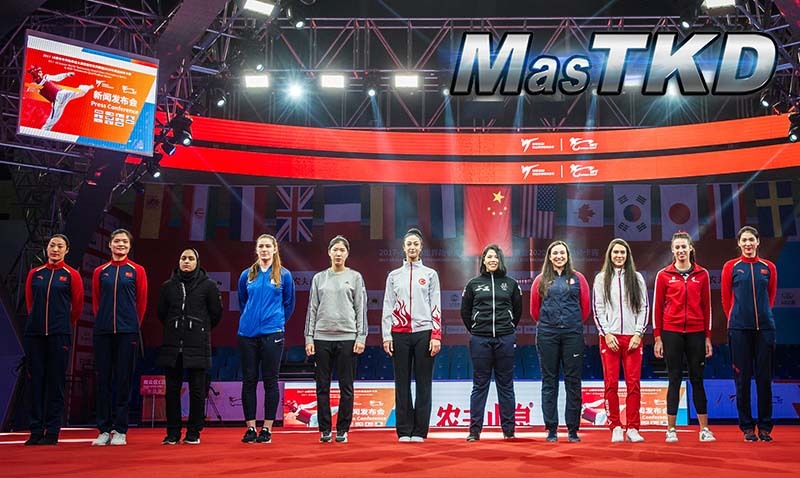 The event, to be captured on the most advanced camera rigs ever used for Taekwondo, is expected to elevate the sport’s presentation to a new level. At the press conference, officials spoke, participating fighters were presented to the audience, and a sound and light show was performed. 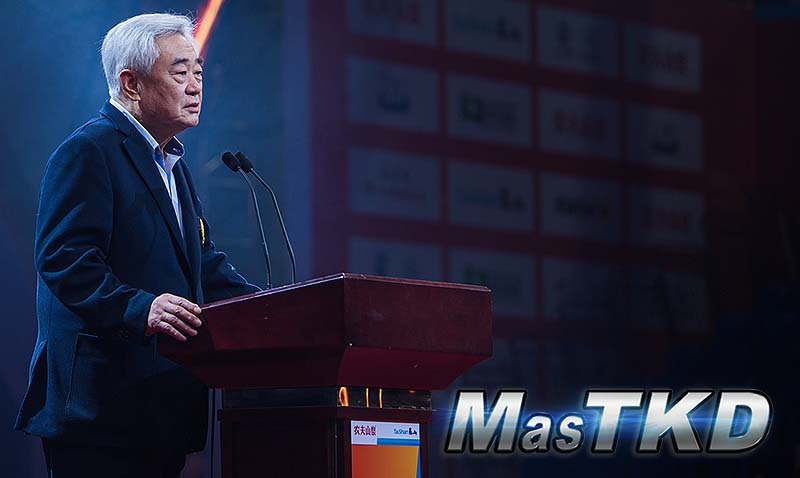 “I believe this Grand Slam event is writing another new history of World Taekwondo,” said WT President Chungwon Choue. “This means our athletes will be more busy – but will get a lot of prize money.” Choue expressed his hope that other international federations would follow the lead of China, and invest in Grand Slam events. Noting that taekwondo is constantly evolving, Choue hinted that the event’s amended rules – if successfully applied in Wuxi – could be applied to regular taekwondo competitions worldwide. “This event will enhance our sport and the new rules and regulations may apply to the Tokyo Olympic Games,” Choue said. After reviewing the outcome in Wuxi, the WT General Assembly will make a decision on the matter on the sidelines of the World Taekwondo Junior Championships to be held in Tunisia in April, 2018, the WT head explained. At the Grand Slam, more points will be added for spins and knockdowns, so encouraging taekwondo’s most spectacular kicks and rewarding powerful blows. Also, points will be deducted if a fighter places even one foot outside the matted area, promoting offensive play and lively footwork. At the conclusion of the press event, participants voiced their thoughts on the pioneering series. The first edition of the Grand Slam series, featuring the Women’s +67kg and the Men’s -80kg Olympic weight categories, takes place on Saturday. The remaining six Olympic weight categories will be contested over successive Saturdays. The series concludes on Jan. 27 2018, with a team championships.